Wow—2018 was a busy year for Magic. Of course, we released our four main Standard sets. Dominaria and Guilds of Ravnica were both smash hits: some of the biggest sets of all time. But it's far more than just those four sets! 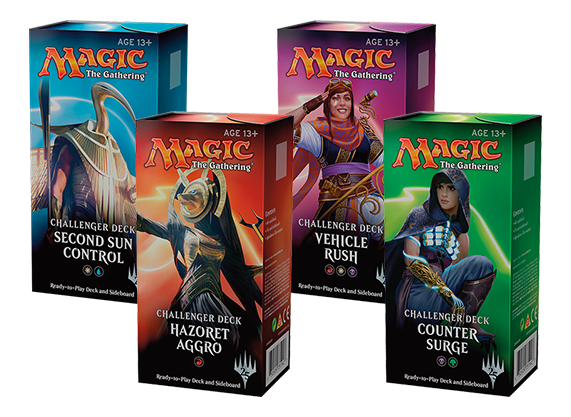 As one of the main product architects on Magic, I see the whole range of products we launch at every level. And I realized that kind of look inside my head isn't something we talk about nearly as much as the main sets . . . yet there's tons there to talk about! So, taking a page out of Mark Rosewater's yearly State of Design article, today I'll be running down what we made in 2018—what worked, what didn't, and what we think about going forward—only I'll be talking about all the other non-main sets and products we released. 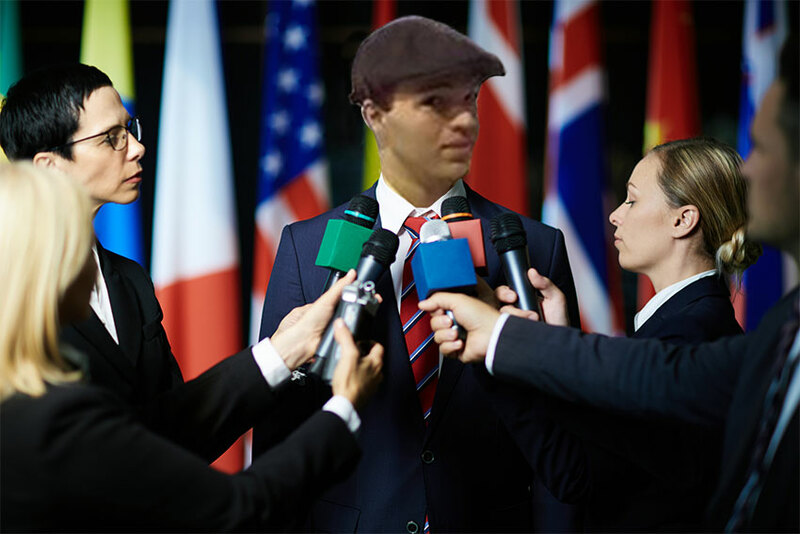 And maybe if things go really well, I'll get some kind of state of the union picture of myself photoshopped below, just like Mark. One thing I'll note out of the gates: this does not cover every single product we released this year. Ones where I didn't really have a lot to say because they stayed similar, like Deck Builder's Toolkit, aren't listed here. But it does cover a vast majority. Ready? There's a lot to cover, and I'll be hopping around a lot because I want to reference different things at different points—so I hope you're prepared for a bit of hopping around in space and time. Let's go, or as they say in French . . . Allons-y! Let's start with a bang, shall we? We've come around a long way on Masters sets this year. For me, this is really the tale of two very different Masters sets. Masters 25 was a project a while in the making. Ethan Fleischer had the idea a while ago to make an anniversary set with watermarks. And as we started looking at the requirements, it made a lot of sense for a Masters set. Everyone in R&D was stoked about this product. We put a lot of work into making it. We managed to get a card from every set there. We were all excited—maybe a bit too much so. Well, it turns out it wasn't quite the themed Masters set you had been waiting for. The set did fine, and probably a lot better than many of its detractors would claim—but it was still just that: fine. The big culprit is that it was missing a lot of reprints people wanted. We had a really cool opportunity with our 25th anniversary here, and ultimately, while the set was full of nostalgia and fun to play with, the fact it was missing several cards people were hoping would return made this a miss on that axis. We try our best to make Magic and to deliver on what people want, but sometimes we make missteps. And for that, I am sorry if the cards you wanted weren't there. It's a chance for us to learn, grow, and do better next time. Which we then took and did with Ultimate Masters. Ultimate Masters, as many of you out there astutely guessed, was originally "Graveyard Masters." ("Immortal Masters," actually.) But after seeing how Masters 25 went, we made a late-in-the-game pivot. We wanted to make sure a majority of what you wanted was in the set. We wanted to get those cards out there in one big blast. Well, by all accounts, this time around, the set did extremely well. Yes, it had an increased price point. I know that is a point of contention. But when most stores are still selling out and asking for more—well, it was an experiment worth running. Additionally, it has made the reprinted cards significantly easier for people to acquire just by getting more out there. Oh, and the Limited format was fun to play too! In the end, during the process of tweaking Ultimate Masters, we decided to put the Masters program on hiatus. 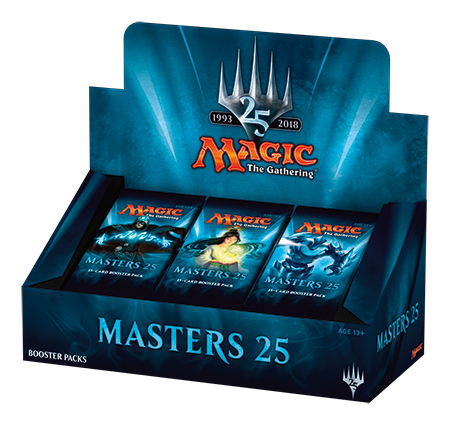 No last-minute announcement surprises here: we really and truly don't have any more Masters sets on the horizon. With that said, seekers of reprints, this doesn't mean we don't have other ways to get these reprints to you. We know you need them. Just no Masters sets in the near future. 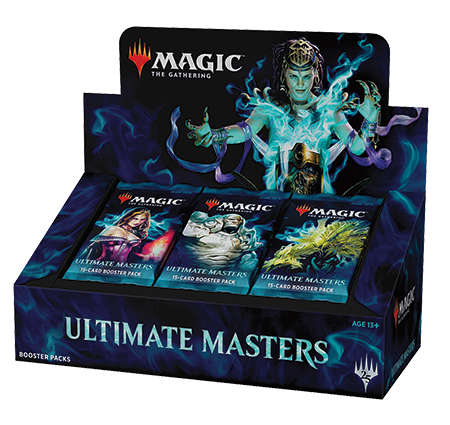 Finally, I want to touch on the late reveal of Ultimate Masters. This was something different we tried out here, and one of the closest-to-launch reveals we've ever done. We've been trying different strategies with our reveal windows and seeing what effect this has on our sets. It took a lot of effort to conceal this release, and while it was a cool surprise, it also strained some stores and fans as well. All of this is feedback we'll consider next time we think about trying an announcement cadence like this. Phew. That was quite a one to start with. But it's an important one, and hopefully it helped provide some clarity into these releases. Moving from something many of you have talked a lot about to something much less discussed, but still incredibly important, I want to talk about these products and some of the big strides we made this year. 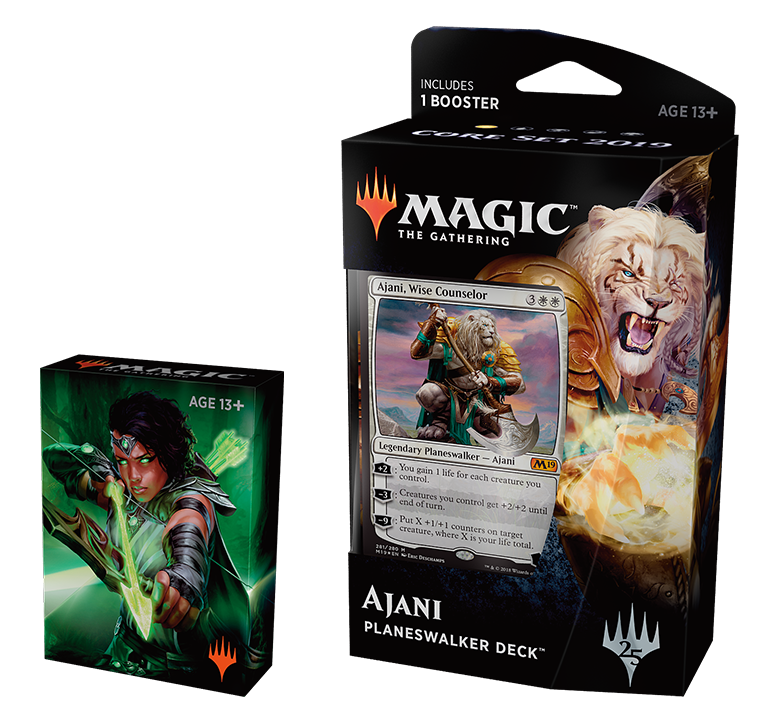 Magic's Core Set 2019 refreshed Welcome Decks—the free decks game stores hand out to interested players—and had a lineup of five Planeswalker Decks that were a tad cheaper. And they have done fantasticly. I think (and all our data seems to agree) that these Welcome Decks are the best we've ever created. They're understandable and have all the right pieces to introduce a player—and a huge part of this is that they were designed in tandem with Core Set 2019. The designers got to make requests for unique cards that were designed with connections to the Planeswalker Decks in mind. No longer would they be missing a kind of effect and have to scrounge some weird uncommon from a Standard-legal set. If the team needed a Riddlemaster Sphinx, they could just make a Riddlemaster Sphinx. Similarly, the five Planeswalker Decks are some of the most successful we've ever made, both in terms of sales and reaction. The decks' themes turned out well, and the feedback on them turned out great. Our philosophy has been that if we give you cards and you're new, we don't want you building a deck and then being turned away if you take some of those cards to Friday Night Magic. That's quite a feel-bad experience. But, realistically, if you take a tweaked Planeswalker Deck to a competitive FNM, you're not going to have a great experience either. It's a source of much discussion. I wouldn't expect to see it change in 2019—but it's something we're considering. What do you think? Do you have any stories or thoughts about this? Let me know! Here's another teaching product. Magic was missing a two-player starter set, so we crafted this as an answer. Especially in mass-market stores (your Walmarts, Targets, and the like), which don't have the ability to hand out Welcome Decks or someone behind the counter to teach you, a lot of people come in wanting to learn but don't know where to start. Additionally, we wanted to make sure that it was something experienced players felt like they could legitimately recommend. If experienced players won't recommend a learning product to newer players, it's going to make it that much harder to get into the hands of new players. So, we put a few significant rares into this one—including Ghalta! The result? It did totally fine. It didn't blow the doors off, but signs seem to point toward it serving a very important role in a specific part of the ecosystem. We'll need more time to tell. And with only one version of it so far, it's worth doing at least once more and making a few small tweaks. 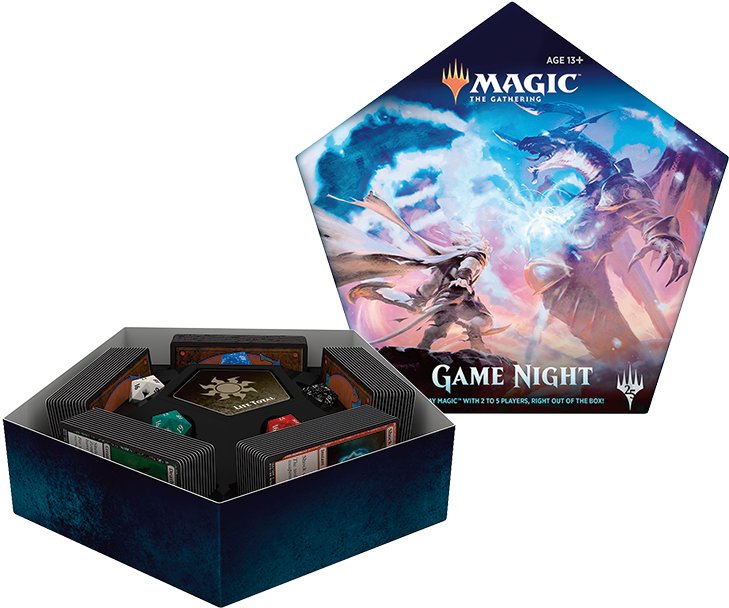 Magic Game Night was conceived as a sort of "board game" version of Magic, where you could buy five decks in a box and then have a replayable experience ready to go. Maybe your friends don't play much Magic—well, Game Night is a fine social experience, without all the complexities that something like Commander brings for a new player. It's an excellent place to get started, and can live on your shelf to be played time and time again. The product executed on that well. However, in some ways, it was overconstrained: the decks all sought to be about half reprints from Core Set 2019 and half from older sets, all while being a good teaching tool, being multiplayer, and having tight themes. Plus, the product had trouble figuring out its identity until late in the design process. The decks were at very different power levels at different times. So how is it doing? It's doing all right so far, though, it's too early to tell. However, I feel confident that if we did it again, we could execute it better. Usually after two iterations, we have a pretty good idea of how successful a product will be, so this would be a fine candidate to do another one of. Well, given we announced the second round of these recently, it's probably no secret that these did great. These 75-card decks ready for competitive tournament play sold well, and players loved them. I know I heard so many stories of people coming into Standard and doing well at local events with them! This next round is built with the same philosophies as the original in mind. We wanted to make sure to have a mix of archetypes and that they were plenty competitive. There's still room to improve. I wish we could get the time down on when we have to choose the decks by, for example—right now, it's about five months before they show up in stores (we locked these in shortly after Pro Tour Guilds of Ravnica if you need a reference point)—but by all metrics, these went over great.I hope the second batch does just as well! My baby. Battlebond. After a very long time to finally get it made, and many, many, many hours working on the set and selecting reprints, it finally got out there. I get asked a lot: how did Battlebond do? It's not always clear when we have a hit or not. And, so, I'm very happy to report it did incredibly well. It hit upon a few big elements we have taken back and started to incorporate into future product designs. For one, it really emphasizes the social play element. Playing alongside someone like a significant other or family member is a great time—and especially helps if they're newer, too. It's just fun! Second of all, it really emphasized once again how important those reprints are—for competitive and Commander players alike. Dubbed "Commander Masters" by many, it got a lot of important cards back into people's hands. While it may take a little bit before we do another Two-Headed Giant set, sets like Battlebond and Conspiracy which emphasize multiplayer and provide reprints are important, things near and dear to my heart. 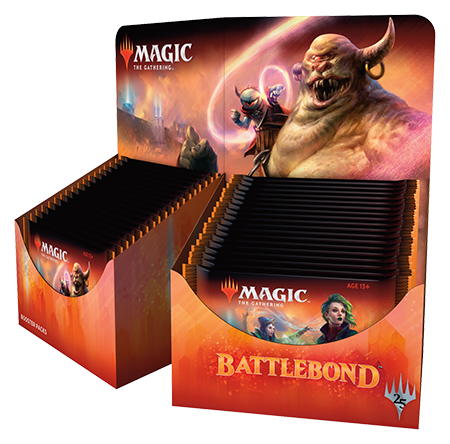 I've written tons and tons about Battlebond already, so I'll just say, if you like Battlebond, I definitely want us to do more in that vein. Commander 2018 is full of great learning lessons. As the lead designer, I read through pretty much every thread on them and countless tweets. I read both praise and plenty of people calling for my head. (Including a Reddit thread which called for me to be fired—which I guess means I've finally made it as a designer.) Die the Commander hero with Battlebond, or live long enough to become the Commander villain, I suppose. So, here's my perspective, having read a lot about it and thought on it for a while. I think the new cards turned out great. And I have and continued to receive positive feedback on them. Yuriko, Xantcha, Arixmethes, Brudiclad, Windgrace . . . the list goes on. Yes, I should have made a couple more lands-matter cards for the Jund deck; that legendary Spider that everybody loved could have been a lands-matter guy. There are definitely tweaks I would make: every designer would about anything they make. But overall, I'm happy with the batch me and the team made for this year. Where I fell down was on the reprints. It wasn't up to the level of what many of you expected, and numerous cards you were hoping would be there weren't. I've heard this loud and clear, trust me on that one. I apologize for that, and would do it differently if I could do it again. Additionally, as a third factor, there was the MSRP raise from $34.99 to $39.99. This happened for sensible reasons, but unfortunately occurred after the set was already finished. With all of this said, two pieces of important information. First, the decks still did extraordinarily well. We've reprinted them multiple times and had them sell out each time, so clearly, people are still very excited and hungry for them. In fact, we're reprinting another batch to carry people through until the next Commander release hits; that's how popular these are. Now, if you weren't happy with 2018's reprints, I could see how you might be concerned reading that. "Oh, great, it still worked and sold well, so we can expect the same for 2019." Well, that's why secondly, I want to specifically say that we've taken the community's concerns to heart when designing the Commander release for this year. It's important to have a jolt now and then to reconsider some things, and as the product architect working on all Commander products, I really felt listening to this was important. I think you'll be happy with what you find in 2019's offering. A big test with these was seeing if there would be interest in individual, casual preconstructed decks like this. Unlike Commander, or Challenger Decks, these aren't really for any format but true casual and playing against one another. And it turns out the answer is very much yes! I love building decks. Many of you love building decks too. But it turns out a lot of people love just being handed a deck and letting them make tweaks from there. And, frankly, I don't mind it either sometimes: it's nice to just take the pressure of deck building off and play a deck someone handed me. I think you'll see us do a lot more with preconstructed decks in the next few years. You'll also see us try a bunch of new things out. As they release, please let me know what you think! Two other things on these. These featured some cool guild trinkets, like the pin. These turned out great and generally added another wonderful level to the product. While they definitely pose more challenges than you can imagine (trust me, you haven't really lived as a product architect until you've been in a heated meeting about the logistics of shipping pins worldwide), I'd love to do more like it. Lastly, these were another in the line of our "annex" products that started with Archenemy: Nicol Bolas. A lot of the feedback from that was that people just wanted decks they could buy. And lo and behold, they were right! This is just one example of how we're listening and making adjustments. While we're not necessarily doing annexes with every set now, when we do them, you can expect to see more things like this one. I remember the first time I ever held a Duel Deck. I was about seventeen years old, part of a Magic podcast, and as a holiday thank you, I got Duel Decks: Elves vs. Goblins in the mail from Wizards. I sat down and played with my brother, and we had a blast! First and foremost, we were just running out of great themes. And as much as I loved the "Duel Decks: Sarkhan vs. Sarkhan" pitch that we always joked about, we had run down the chain of a lot of the best one-on-one battles. And as our desire kept ideally wanting the themes to sync up with the sets around them, that limited our options further. Second, it was another product in a huge lineup. Everything has fans, and Duel Decks certainly did. But in a year where we're going to release so much, we have to be very careful about product proliferation. In 2017, for example, we heard a ton of notes from stores and players alike about how we were just releasing too much too quickly. Something needed to go. Third, they just hadn't been selling as well. Part of this is because of points one and two—Elves vs. Inventors certainly isn't as resonant as Divine vs. Demonic, and there are a lot of other options to buy now, but it's certainly an important factor. Fourth and finally, we wanted to try out other preconstructed decks. Things like the Guild Kits are new, exciting opportunities which are tricky to coexist with Duel Decks that would want to release around the same time. In the end, Duel Decks have done a ton of good. They paved the way for where we are today and allowed for products like Guild Kits to exist. However, they're a piece of an old world, and it was time to sunset them in favor of bright new futures. So, thank you, Duel Decks . . . and here's to a new world of preconstructed options! Our annual product that launches at San Diego ComicCon and then shows up in various other places (like the HasbroToyShop website) went over about as well as expected. After 2017's version with the Nicol Bolas poster only did all right, we returned to a lower price and a familiar model we knew would work.It all sold, and the art was absolutely gorgeous. With that said, the SDCC product has been pretty step-and-repeat for a while. We've done planeswalkers every year since the beginning, and even though we've experimented with different frame textures and art treatments, it feels like we've been a bit light in innovation here. As the architect of these, I'd like to see us switch things up a little bit and try some different approaches. I'll hint that this year's has something just a little different about it, and we're looking at further explorations for the years to come. You'll have to stay tuned to see just what. Back toward the beginning of 2018, I introduced theme boosters and the feedback era, and that we were testing a small number of them out in Walmart with Dominaria. That article can tell you a lot more about them and why we wanted to try them. I'm happy to report the test was a big success, and they're now part of our main set's lineup going forward. 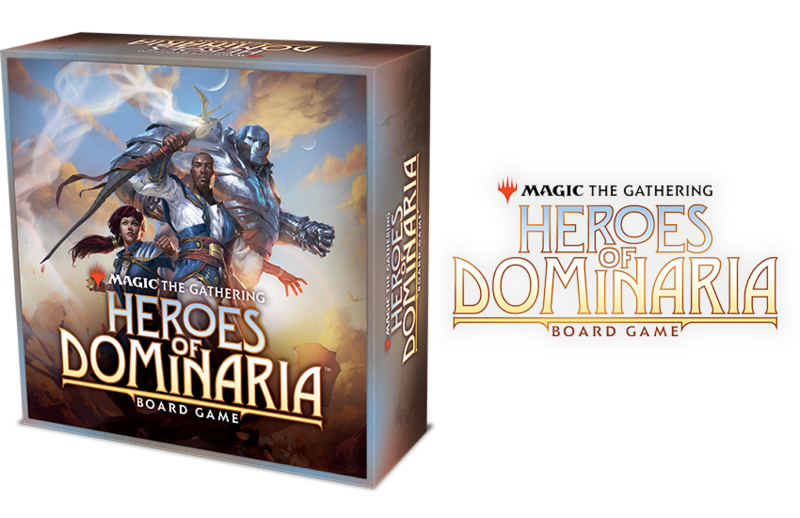 We launched them full bore with Guilds of Ravnica, and they continue to be a hit. There are a lot of players who just want, say, Simic cards for their Simic deck—and knowing you will build your collection with 35 on-color cards is very appealing. Plus, one of my favorite ways to play is to just shuffle in 25 lands and play against someone else who is doing the same blind! If you haven't tried it yet, definitely give it a try. The Mythic Edition series was an attempt by us at a few things. One, we wanted to learn what potential our new direct-to-consumer platform might have, and a high-end product was a way to try that. Two, we saw a hunger in collectors more and more for high-end experiences. So, we came up with Mythic Edition as an experiment of what that high-end experience would look like. When we announced Mythic Edition with Guilds of Ravnica, the community had a very strong response. While this isn't my product, as someone who has monitored the conversation closely, I definitely have been in the mix of it. The first thing that hit people was just the high price, combined with the new distribution method. And while there is a sharp reaction to seeing that, the many keen pundits and big community voices were able to slice through that pretty well and talk about how this really was a thing for collectors. There's nothing here you need to be able to play the game; it's all just awesome collector cosmetics. If you get it, great, but if you don't, you can still find a regular version of the card to trade for. However, the thing that was much more difficult for voices in the community to defend was the North American-only distribution. Magic is a global game, and not being able to get these out across the world in today's day and age is a big problem. Combine that with the fact that the HasbroToyShop sale had some . . . snags, and well, it didn't help matters. Flash forward a few months later, and the Ravnica Allegiance Mythic Edition sale on eBay went a lot smoother. We took your feedback, changed services, and besides a couple hiccups of the listing going down and back up, it went well and was sold to people all around the world. The concern around this one was significantly less now that we improved the distribution and the initial sticker shock has had some time to subside. Mythic Edition has morphed into something successful for us, targeted at the collector without really hurting anybody who isn't interested in it. 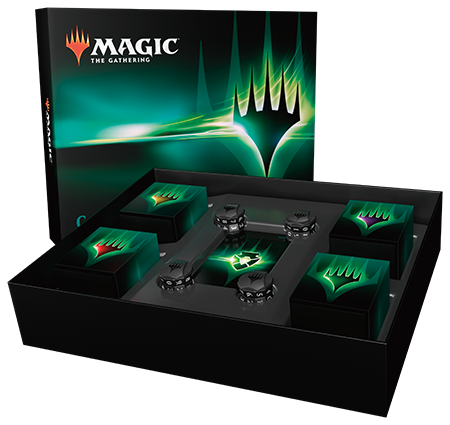 While the exact shape of Mythic Edition probably isn't the right model for this high-end experience with each set, you can definitely expect us to keep trying things in this space. 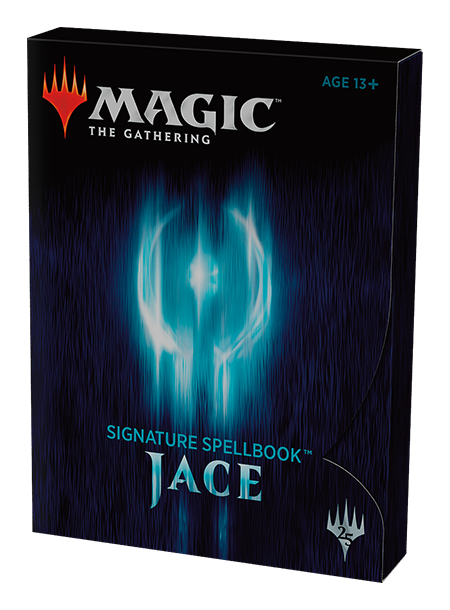 As I recently announced in my interview with the Professor, Signature Spellbook is returning this year—and that's always a good hint at how the product performed. It was conceived as a spiritual successor to From the Vault, that could use unique frames to make cool, awesome versions of cards people want. People love cards like Counterspell—let's provide them an awesome one to bling out their decks. While the first Signature Spellbook wasn't a sold-out-everywhere release, it wasn't meant to be. Unlike the scarcer From the Vault series, this was meant to be something players could find a copy of if they wanted. (At least after checking a few stores.) It went over well enough and accomplished our goals that we're planning to keep it going. You may see some experimentation with the kinds of cards we put in, and even potentially other aspects of it. Its spot on the lineup isn't permanently solid, but we have enough plans for the next few years that we're happy moving forward with it, seeing how 2019's does, and going from there. 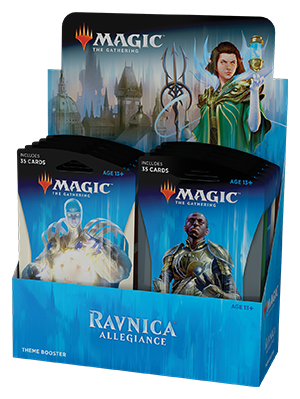 Despite architecting this product, I don't have a ton to say about this one: it is a bunch of old Commander decks in a box, and a way to help get those decks, cards, and reprints out there. There are two main items I want to mention here. The first is that the Commander audience is hungry. 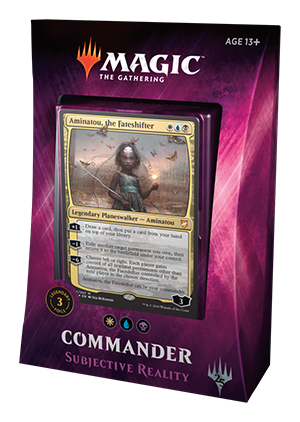 There's a good chance we haven't been doing nearly enough Commander products: we keep making them, and players keep eating them up. This isn't the only signal that's the case, but definitely another thumbs up in that corner. The second is that the anthology series is one that can come and go as we feel it's right to. You'll see it some years, and not others. We want to avoid cramming up our calendar too much. It's a good tool in our toolbox, but not one we need to wield constantly. Anthologies are best when you give some time from the source material, after all. This was the first attempt at something really different and brand new: a region-specific product. 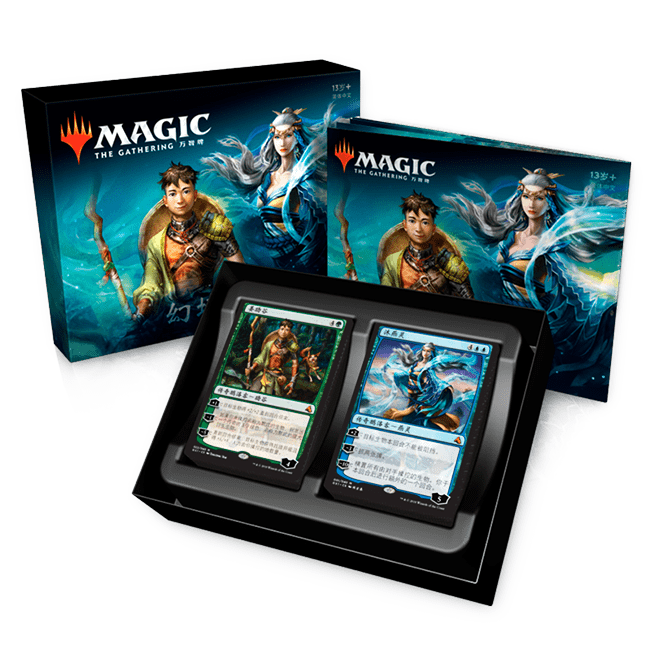 The short and sweet version of how this came to be is that we felt there was a big opportunity for Magic in China, and not a great introductory product for that audience. Originally, we looked at some pretty grandiose ideas, like releasing an entire set in China themed with appropriate art and flavor. Eventually, we settled on something like a Duel Deck (another reason for traditional Duel Decks to go away), and the team started working on this. And when I say, "the team," one of the really cool things about this product is how much of a collaboration it was with the fantastic Chinese team: they helped craft the story, art, and flavor. They helped provide artists. And the flavor of everything felt so fantastic because of it. So, on that axis, the product went well. But unfortunately, there's another very important axis to consider: the mechanics. We were in a bit of a tricky spot. We wanted to make this a Chinese introductory product. And, as mentioned earlier about Planeswalker Decks, that meant by our current heuristics, it would need to be Standard-legal. Except, it wasn't clear how people in the US would get these cards. Not to mention, that would mean Play Design would need to take additional time to test all of these. The team evaluated their options and decided that the safest thing to do was make them legal in mainland China Standard events only. That way, we wouldn't need to worry about getting the cards in the rest of the world and the confusing nature of the product. But doing that meant that each card went under even more scrutiny. We didn't want to fracture the Chinese metagame by having some cards hit in Standard and then having Mainland China playing an entirely different format than the rest of the world. So, the safest play from a play design standpoint was to make sure the cards were weak enough that it wouldn't be a problem. The result? Unsatisfying on multiple levels. People in the rest of the world who get the cards can't really use them effectively elsewhere. People learning to play in China who get these cards don't want to play these in their Standard decks anyway. And everything just feels watered-down, which significantly damaged the product's appeal to anyone outside the target audience. 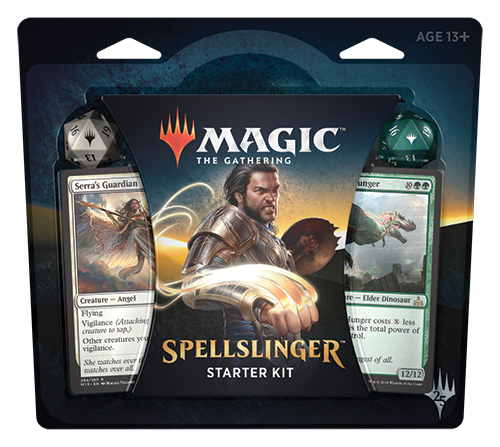 And, as I mentioned with the Spellslinger Starter Kit earlier, it's important that people who are already playing are willing to evangelize the product to newer players—and because these decks were so weak, that didn't happen either. I know how we got here, and why we made this decision. It's no one individual's fault. And it was a great learning opportunity. If we ever do another one of these, I would probably advocate greatly internally for dropping the Standard-legal restriction. 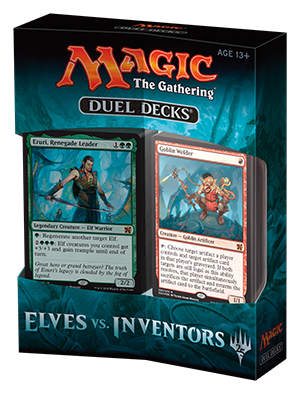 This means there's no unusual split between formats, and this product can just have cool cards with great, thematic artwork that may have otherwise impacted Standard but still won't touch things like Legacy. Maybe there are a few that are fun in Commander, or we can reface Lightning Bolt with cool new art or something. The good news out of this: we have two new characters who are pretty neat and I bet we'll see again someday. Also, if you actually had the chance to play the decks against each other, they are incredibly well balanced and a great teaching tool. Much like how the Welcome Decks got to make the cards they needed to be good for teaching, so too did this product. At this time, there are no plans for another Global Series in the works. But me personally? I'd like to take these lessons and try them somewhere else. I loved the flavor, and as a world traveler, I know there are so many places we could theme this to and do some really cool things. Send me a message, and let me know what you think! While released a bit later than originally anticipated, this was Dominaria's annex. It was an attempt at trying something new and radical: what if we did something Magic related, but that wasn't actually the card game Magic? It's really too early to tell how this one is doing. But what I do want to bring up here is that this is the start of an exciting partnership with Wizkids. Normally, we aren't allowed to look at outside games submissions. But we now have a contract which both allows us to show games to Wizkids and work with them and their team to publish it, and allows them to pitch us games. As an avid board gamer, this is exciting to me—there's a lot of neat things you can do with the Magic world which isn't the literal card game. What might some of these look like? Stay tuned! With this many products, now maybe you see the need for product architects! We make so many things—and there's so much more than just individual cards to be thinking about. This is more of a shallow dive on each product than a deep dive on them, but hopefully it gives you a good overview of how 2018 went, where our team is thinking on each product, and a few hints of what to come. Have follow up questions or are curious about anything? Please reach out to me! How? Well, social media is where I spend (too much of) my time—feel free to send me a tweet, ask me a question on my Tumblr, and in a new twist, I've also started using Instagram messages as a way to talk to players, so feel free to follow and reach me on there! If this article ends up with a Reddit thread, I'll certainly be in there. Or, if you're more of an email person, you can always hit me up at beyondbasicsmagic@gmail.com. Looking forward to hearing from you, and I hope you enjoyed the read. Here's to what we have coming up in 2019—and beyond!